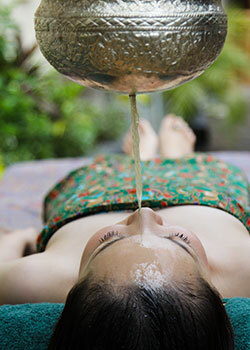 Bali Spa Ajuna spa located Jimbaran area where popular high class resort area. The spa owner who managed spa in Japan carefuly selected product which you can feel great result after treatment. Also all therapist has plenty experience and they can speak general english so you can take treatment in Safety . 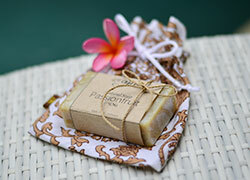 You will see their high sence interior that hint of Balinese atmosphere. You can get special present if booking throught Hiro Chan group! ※The gift contens will change each month. This image is sample. Short time but you can feel great results! Recommend for busy tourist! Being refresh and relief from body fatigue, You will feel power of mother nature. Balancing mind and body with volcano stone that has energy of nature. Recommend for guest who want to be active. 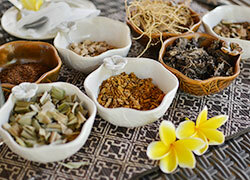 Using Ajna original massage that using natural ingredients. 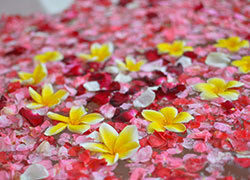 This body massage is combination of traditional Balinese massage, Skin rolling, hand pressure for anti fatigue massage. After dosha couselling, we will choose oilf depend on PITTA(fire), KAPPA(groud,water), VATA(wind). It will effective for tedox in side body. Choose from fresh fruit or herb for hair treatment for make shiny hair. 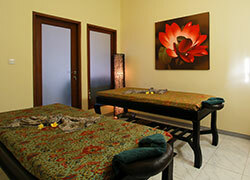 It is include back massage and head massage that make you feel refresh. 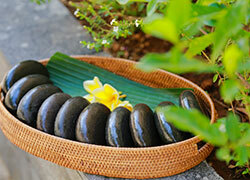 The treatment with hot stone that using volcano stone. It is effective for titen muscle and improve lymph flow. 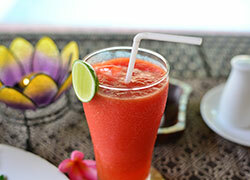 It is also recommend for cold body and low metabolic rate. It is third eye chakra massage as known brain massage. recommend for stress, deep sleep and peace of mind. 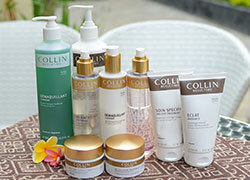 They use facial treatment for Collin as known great marine collagen skin care product in the world. Colling used by luxury spa and esthetic salon which they need authorize to use it. You can feel Great result after the treatment. 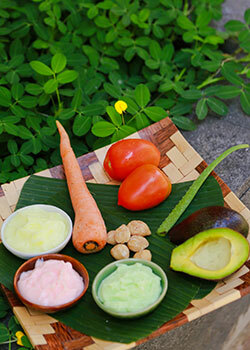 Prepare for perfect face line, wrinkles, flabby skin, and dark skin. It lead your sking for more bright and shiney. Reset your skin from sunburn damage. It is effective for winkles and pigmentation・・・This whitening treatment will make clear skin. Ubud, Tanah Lot, Other Area: ＄30/1car, Both way ＄50/1car. ・Children can wat at villa bed room, treatment room. There is menu start from age 6. ・The spa therapist can watch your kids while you taking treatment but they can not take responsibility in case some trable.